The most compelling feature of Pokémon Life is the fact that every Pokémon has a unique ability that can affect your gameplay. If you want to learn about every Pokémon's ability, visit the Pokédex. 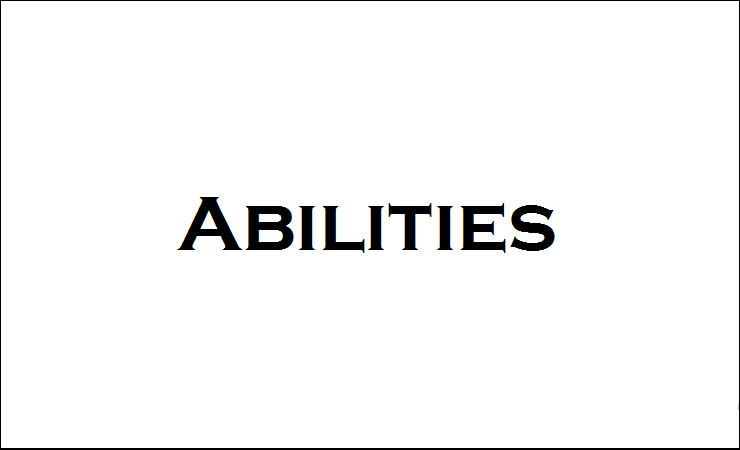 On this page, there will be a brief overview of the different types of abilities. Decisive abilities - These abilities let you move to a specific tile nearby, with no randomness involved. Rethrow abilities - These abilities let you throw the dice again if things go badly. Adjustment abilities - These abilities let you adjust the move dice outcome after you've thrown the dice. You can combine these abilities in any way you like. Miscellaneous abilities - The abilities that don't fit in another category, such as Porygon. There are also many Pokémon that have enhanced battle capabilities because of their ability. They mostly consist of rethrowing or outcome increasing abilities. There are unique Pokémon like Venomoth, who can switch his Battle Points with the Pokémon it's facing. Celebi and Poliwrath actively increase the Battle Points of all your other Pokémon by a certain amount. Many of the Battle abilities are also related to earning Master Points. For example, Girafarig's ability causes you to be able to draw two Victory cards after winning a duel, instead of one. If you have a Gengar, you receive 10 Master Points for every battle you win while Gengar is not knocked out. There are not so many Event related abilities compared to the other sections. Event abilities can generally not be combined. Let's say you have an Articuno and a Xatu and you land on an Event tile. You may choose to draw 4 cards at once, pick one, and put the other 3 back on top of the pile, or you may use Articuno's ability instead and draw two cards. Another interesting Pokémon with an Event ability is Marill. With Marill, you may look at the top card of the Event pile whenever you like. This can be very strong when combined with Mantine's ability. There aren't many Capture abilities, but they are very valuable. Every player can use Pokémon that have these abilities, because they enable you to capture the Pokémon you really need for your tactic. There are some abilities that don't fit in to any section. An example of this is Exeggcute. When you release Exeggcute, you receive a Nugget. Other examples are Pokémon that have an ability that affects their evolution method, such as Scyther, Gloom and Eevee.